I am about to share one of the most delicious recipes in the world with you. 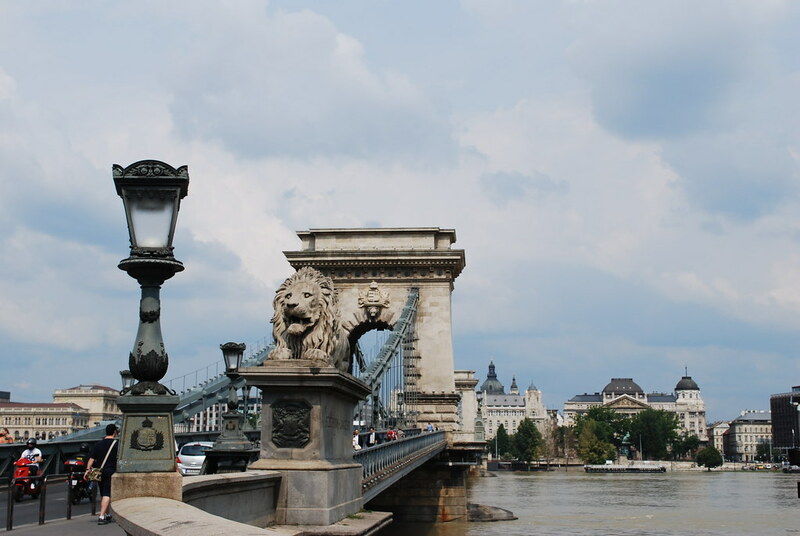 I went to Hungary 3 summers ago on a backpacking trip with my best friend. It was about three weeks into our trip and we both had just come down with this nasty stuffy cold. After trying to search the pharmacies for a good decongestant (and failing) we spent our time taking short walks, drinking lots of juice and relaxing and rejuvenating in the famous Budapest Széchenyi Baths, and finding ourselves underground in these weird caves under Buda Castle (seriously though, what were those things?!). I have fond memories of Budapest but food isn’t one of them. Not that I had bad food there, just that it was normal travel food, and I didn’t get to try any veggie versions of the local specialties! A lot of the vegetarian restaurants were closed while we were there and our colds prevented us from going on grand adventures just for a delicious bite to eat. 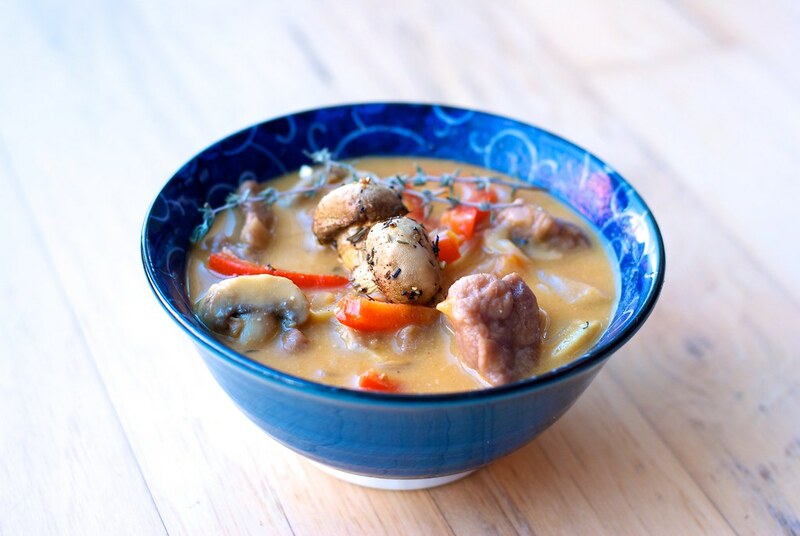 Three years ago for thanksgiving I came across this recipe of a seitan and mushrooms stew in one of my favorite cookbooks, Professional Vegetarian Cooking, and decided to make it for our giant crowd of almost 30 people. It was one of the most delicious things I had ever eaten. Since then I have re-made it a few times. I’ve served it to almost 50 people over time, both carnivores and vegetarians. Every time I get some of the best feedback I ever get on food. The stew is richly and simply flavored with the natural vegetable flavors of mushrooms, red bell peppers and onion, of which are deepened by the warm notes of a nice pinot noir. Add some smoothness with cashew cream making all the flavors blend together in a velvety manner and just pop in your mouth. The seitan in this dish is cooked directly in the broth and wine, resulting in some of the best textured seitan I’ve ever eaten. It also takes on the color of the red wine, giving it an eerily similar look to beef. Not sure how I feel about that, but the flavor the wine imparts on the seitan is delicious, so I’ll take the color. This dish is great for dinner parties. We’ve had it at a couple of thanksgivings, and I’ve made it for some mixed-crowd dinner parties I’ve had. I have to admit, I don’t even really like mushrooms. They’re okay. I can eat them if they’re prepared well, but I find something about the texture just weirds me out. I actually enjoy them pretty well in this dish. Enough to have made this dish several times even. It’s a satisfying stew that can hold it’s own on any table and in any crowd (well with the exception of those with gluten intolerances, sorry guys…). The recipe may seem complicated, but if you start with the seitan and then while it is simmering for 45 minutes make the mushrooms it shouldn’t take too long. I’ll usually just make it earlier on in the day and then it re-heats nicely right before serving. You don’t need to eat anything with this stew but crusty bread would pair very well with it. 1. Cut the raw gluten into a large dice, a little smaller than bite-sized as they will expand while cooking. Tip: this raw gluten is somewhat sticky and self-healing so I separate the pieces as I cut them up to prevent this from happening. 2. 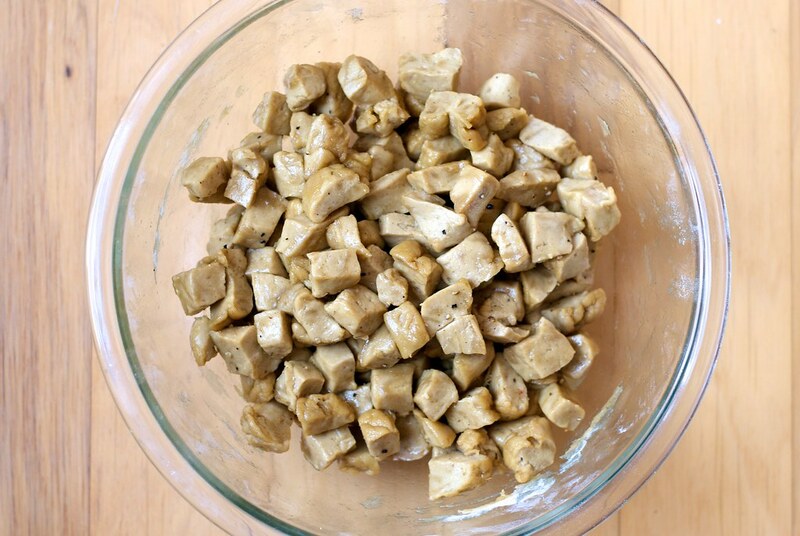 Toss the cut seitan in the olive oil, salt and pepper. 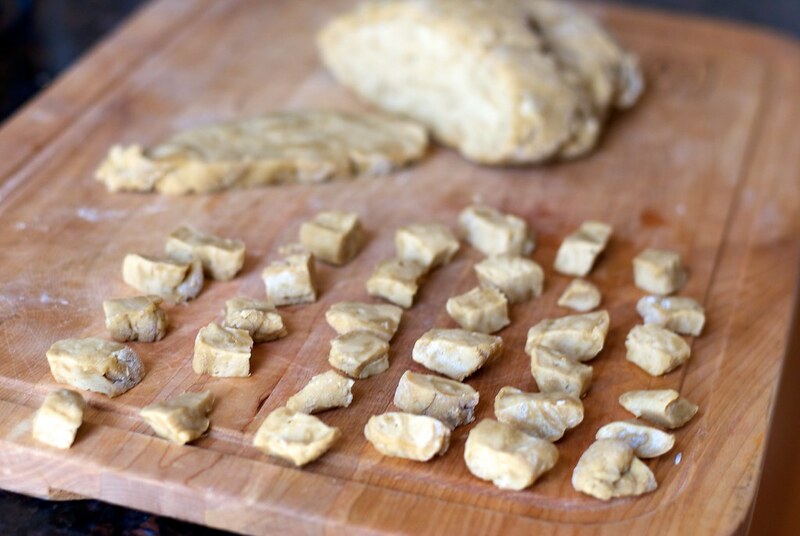 I usually add the seitan and oil in parts so that the seitan dough doesn’t stick to itself. 3. In a large pot, sauté over medium heat for a few minutes until browned. Add the wine, vegetable broth, soy sauce and bay leaves. Partially cover, bring to a boil then reduce the heat to low and simmer for 45 minutes or until the seitan is tender and cooked through. Meanwhile, make the Hungarian braised mushrooms. 4. When the seitan is done cooking, mix it into the Hungarian-braised mushrooms and serve hot. In a large mixing bowl, combine the dry ingredients. Mix the wet ingredients together separately. Pour the wet into the dry and knead briefly until combined. Set aside and let rest for 15 minutes before using it in the recipe above. 1. In a very large stock pot, sauté the onions in olive oil for 5 minutes or until soft. 2. 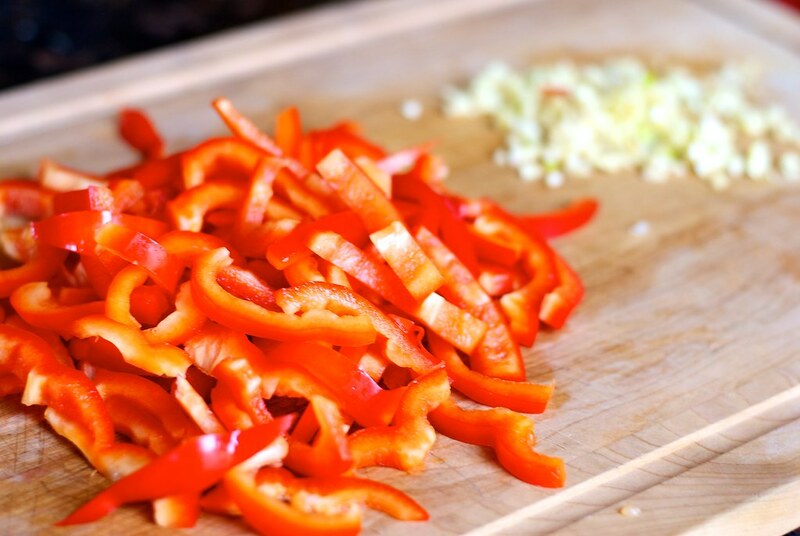 Add the garlic and red peppers and sauté an additional 3 minutes. 3. Add the mushrooms and sauté for 5 minutes. 4. Mix in the paprika, cayenne, flour, and tomato paste. Add the vegetable broth and bring to a boil. Reduce the heat and simmer for 5 minutes. Remove from heat. 5. In a blender, blend the cashews and water until smooth. 6. Stir in the cashew cream and apple cider vinegar to the mushrooms. Set aside until ready to use. This entry was posted in entree and tagged goulash, hungarian, mushrooms, recipe, seitan, vegan. Bookmark the permalink. Yum! I’ve been wanted to cook for vegan hearty European food and this sounds great! But one thing I did not get: You mix the whole Seitan (with red-wine-soy-sauce etc.) with the mushroom-stuff or you just take out the Seitan from the sauce after the 45 minutes??? Thxthxthx and greets from Berlin! 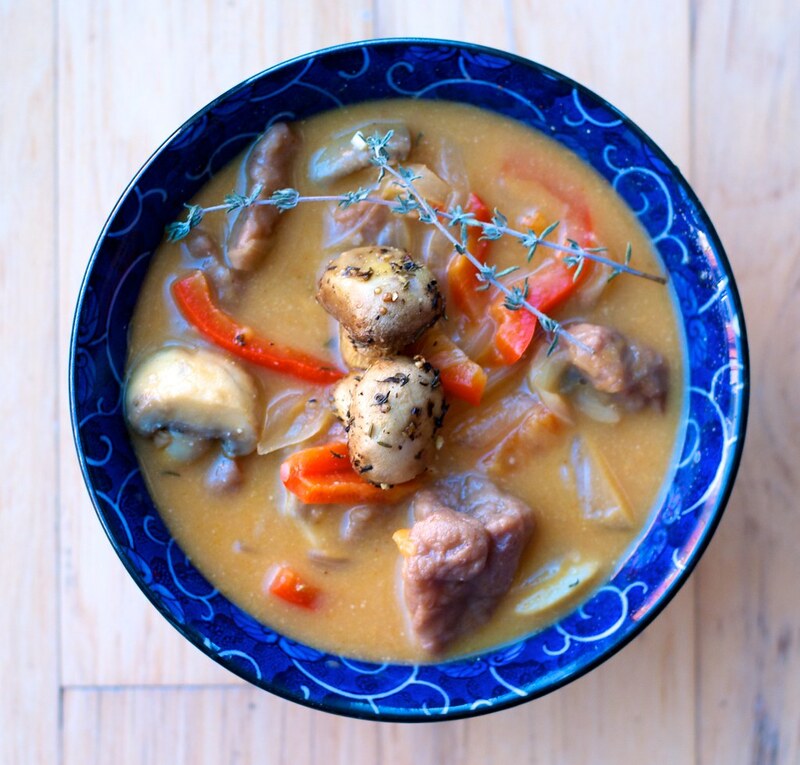 You mix in both the seitan and broth it cooked in! The seitan is very sticky after cutting it, I just added it in parts and make sure it was well tossed in oil. Doing it a handful at a time with a teaspoon of oil really helped. And as I sauteed it I just tried to break those remaining sticky stubborn pieces apart. This isn’t the easiest seitan recipe but the texture it gets from this method works really well for the stew. a quart is a volume measurement, and there are four cups in a quart, so essentially you’re looking at 12 cups of mushrooms. I looked up how much this would be in grams, and I think it’s somewhere between 75-100g per cup. So you’re looking at 900-1200g mushrooms. It’s a lot but this recipe makes a lot of servings!